a. Go to Admin > Servers and right-click on Local Site. Select Edit Site Properties. b. On the LiveUpdate tab, uncheck Store client packages unzipped to provide better network performance for upgrades. c. On the LiveUpdate tab, reduce the number of content revisions to keep. The optimum value is 30 revisions but a lower setting uses less disk space. For the upgrade, you can lower the setting to 10. 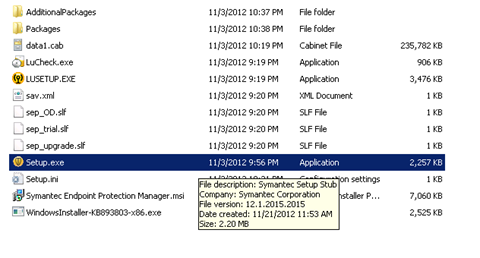 Allow time for the Symantec Endpoint Protection Manager to purge the extra revisions. d. After the upgrade, return the setting to 30. 2. 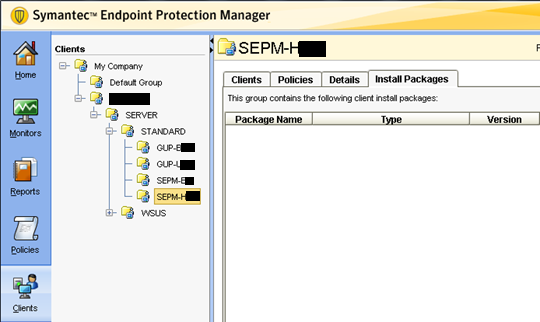 Make sure that unused virus definitions are deleted from the Symantec Endpoint Protection Manager database. a. 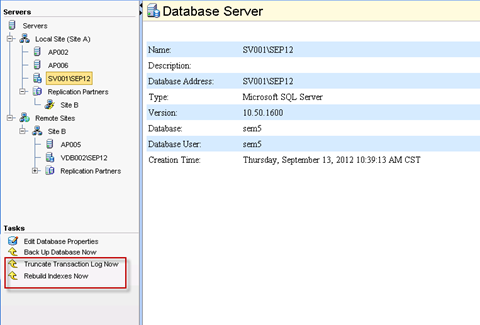 Go to Admin > Servers (Database server) and right-click on Local Site, select Edit Properties. b. On the Log Settings tab, make sure that Delete unused virus definitions is checked. 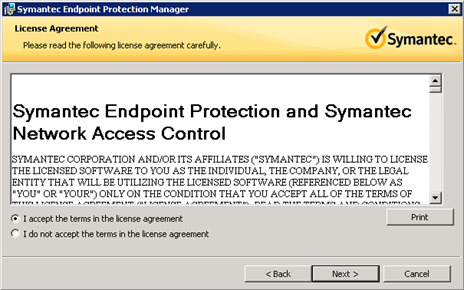 a. Log in to the Symantec Endpoint Protection Manager. 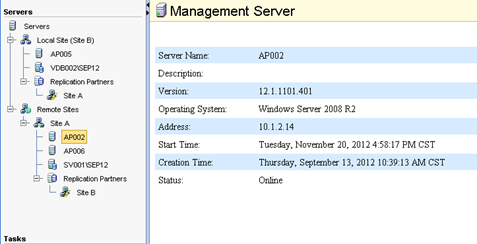 b. Click Admin and select Servers. c. Select the localhost under Servers. d. Under Tasks, Select Edit Database Properties. e. In the General tab under Database Maintenance Tasks. 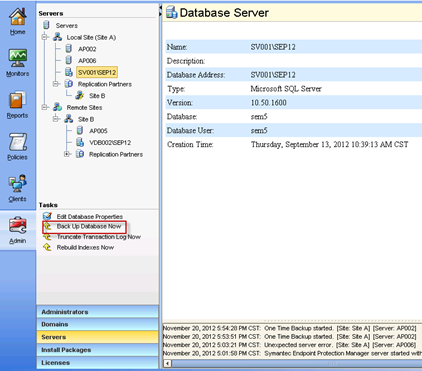 f. Select the checkboxes next to Truncate the database transaction logs and Rebuild Indexes. g. Click OK to apply the changes. It will make changes to the database on the mentioned time under "Scheduled task". To reflect the changes immediately click on Truncate Database Transaction Log Now and Rebuild Indexes Now under Tasks. 4. 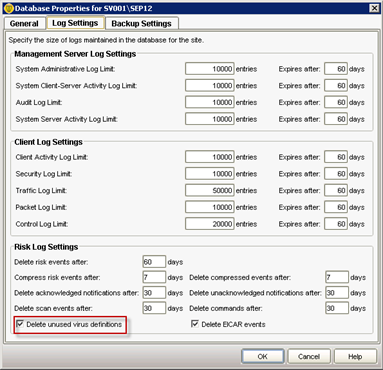 Backup SQL Databases and logs. a. 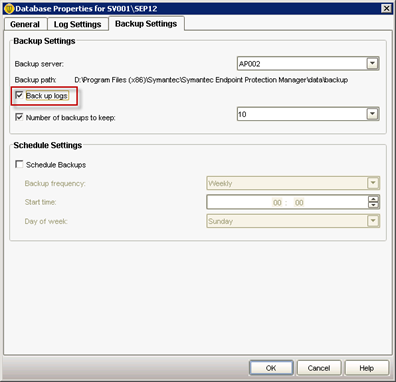 Ensure “Backup logs” option is checked. b. In the console, click Admin, and then click Servers. c. Under Servers, click the icon that represents the database. d. Under Tasks, click Back Up Database Now. 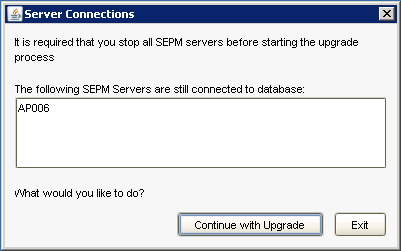 e. In the Back Up Database dialog box, optionally check Backup logs, and then click Yes. 5. Ensure there is no package assign to client group. a. Screenshot current settings of site replication. b. In the console, click Admin > Servers. 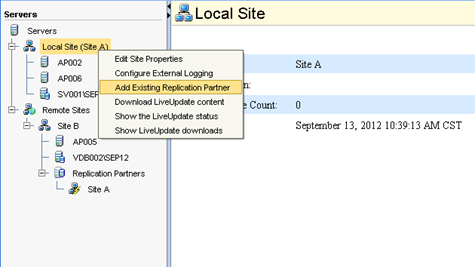 c. Under Servers, expand Replication Partners and select a site. 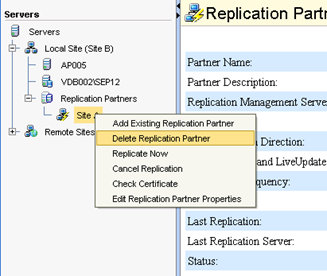 d. Right-click the site, and then click [Delete Replication Partner] . f. Log off the console, and then repeat this procedure at all sites that replicate data. a. Click Start > Settings > Control Panel > Administrative Tools > Services. b. 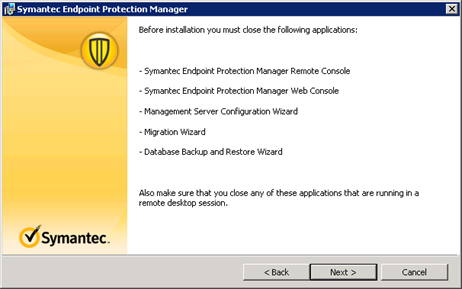 In the Services window, under Name, scroll to and right-click Symantec Endpoint Protection Manager. d. Close the Services window. 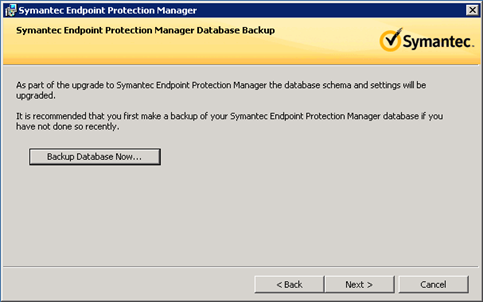 e. Repeat this procedure for all installations of Symantec Endpoint Protection Manager. b. Extract the package to a folder. c. Go to the folder and double click "Setup.exe". 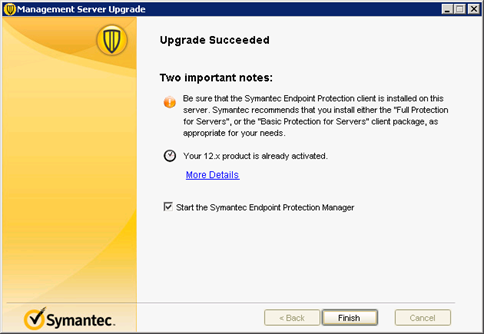 d. In the Symantec Endpoint Protection Installation Program dialog box, click on [Next]. e. Review the sequence of installation events, and then click Next to begin. f. In the License Agreement panel, click I accept the terms in the license agreement, and then click Next. g. Since the database has been backed up, click on [Next]. 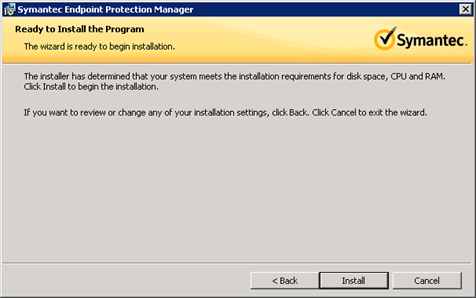 h. In the Symantec Endpoint Protection Installation Program dialog box, click [Install] to install Symantec Endpoint Protection Manager. i. 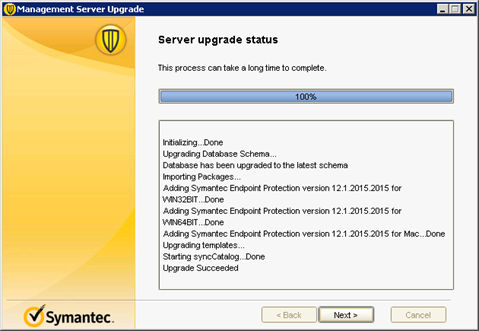 The installation process begins for the Symantec Endpoint Protection Manager and console. When the installation is complete, click Next. j. 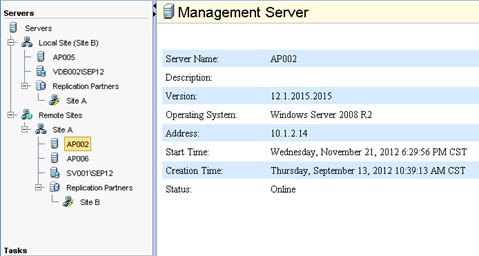 Ensure all management servers service was stopped, if not the installation wizard will pop-up a message. k. After the initial installation completes, click Next. 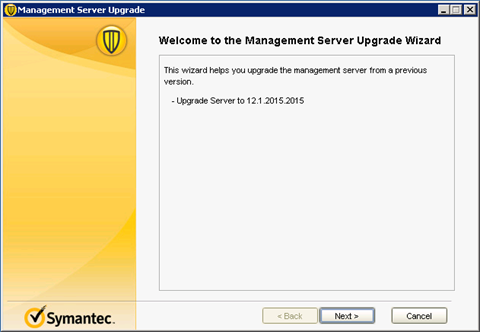 The Management Server Upgrade Wizard starts. 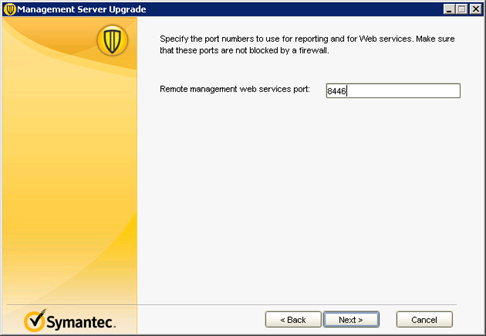 l. Specify remote management web service port (leave it as default). m. Wait for the upgrade process complete. n. All client packages will be added during upgrade process. o. Click [Next] to review the upgrade process status. p. Click on [Finish] to complete the upgrade process. 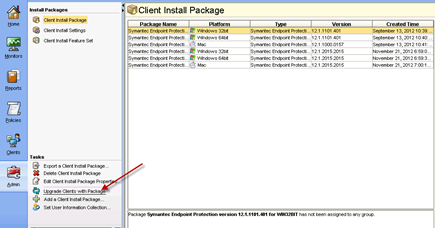 The Symantec Endpoint Protection Manager console log on screen appears if you leave the option checked. Once you log in, you can begin client deployment. 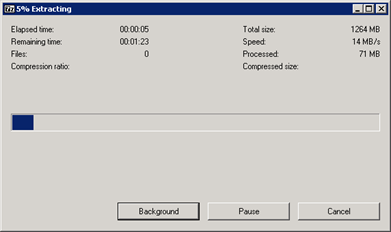 You can also optionally run the Migration Wizard at this time, if desired. a. On the console, click Admin > Servers. b. 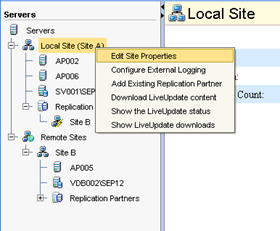 Under Servers, right click on “Local Site”, select “Add Existing Replication Partner“. 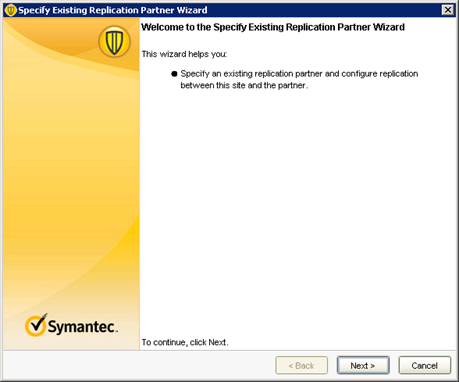 c. In the “Specify Existing Replication Partner Wizard”, click on [Next]. 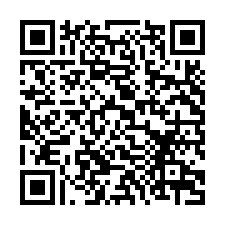 d. Fill up remote management server information, click on [Next]. 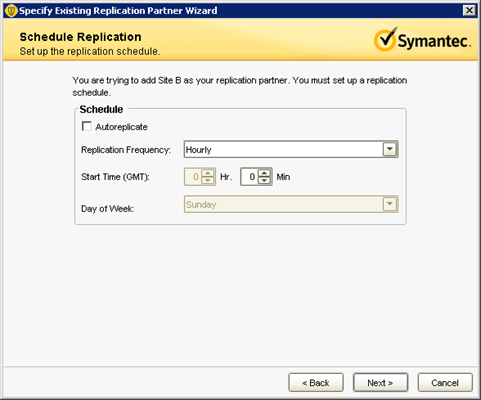 e. Specify replication schedule, click on [Next]. f. Select replication data, click on [Next]. 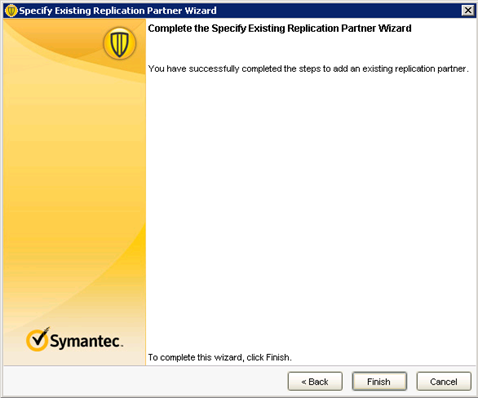 h. In the Completing the Add Replication Partner Wizard panel, click Finish. i. 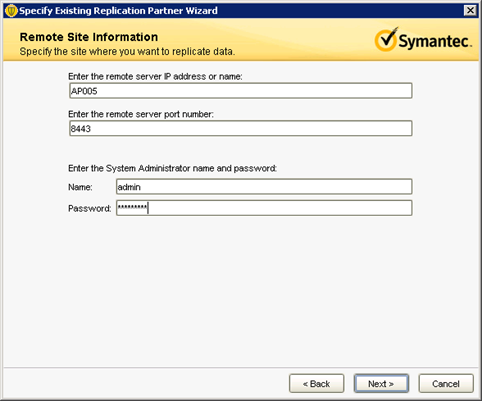 Right click on the remote site and select "Replicate Now". j. 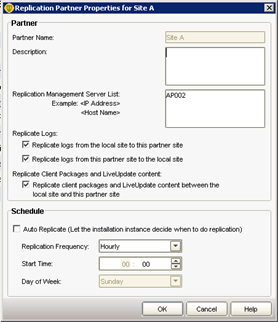 In the remote site management console, the replication partner will be created automatically. k. The remote site server information will still show as old version, since there is no refresh function, click on any other admin function than switch back to server, the server information will display correctly. 1. 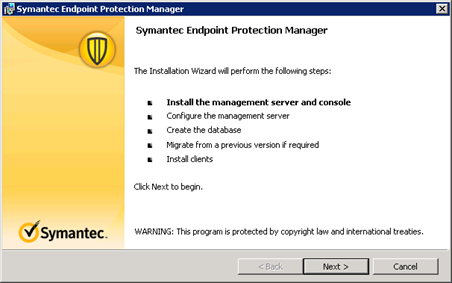 In the Symantec Endpoint Protection Manager console, click Admin. 3. Under Tasks, click Upgrade Clients with Package. 4. 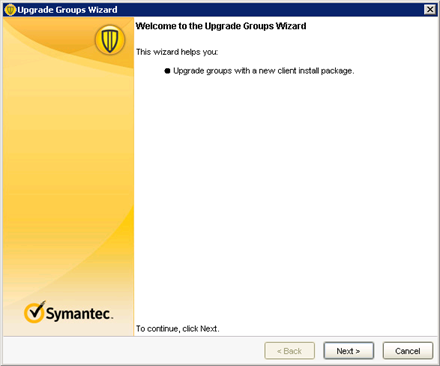 In the Upgrade Clients Wizard panel, click [Next]. 5. 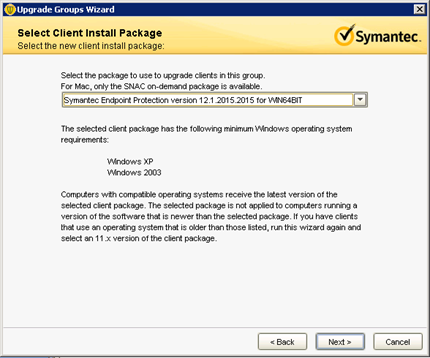 In the Select Client Install Package panel, select the appropriate client installation package, and then click [Next]. 6. 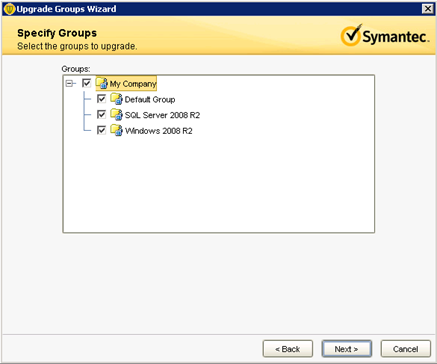 In the Specify Groups panel, select the groups that contain the client computers that you want to upgrade, and then click [Next]. 7. 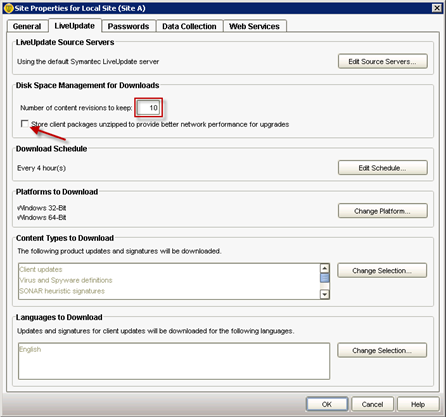 In the Package Upgrade Settings panel, select Download from the management server, Click Upgrade Settings. 8. 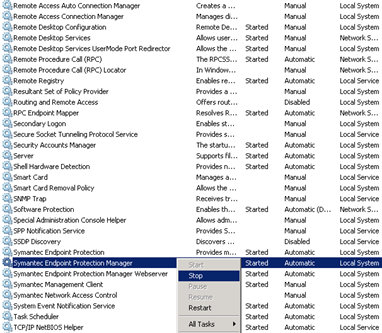 On the General tab, select Maintain existing client features when updating. You can optionally add or remove features when upgrading. 9. Optionally, on the Notification tab, customize the user notification settings. You can customize the message that is displayed on the client computer during the upgrade. 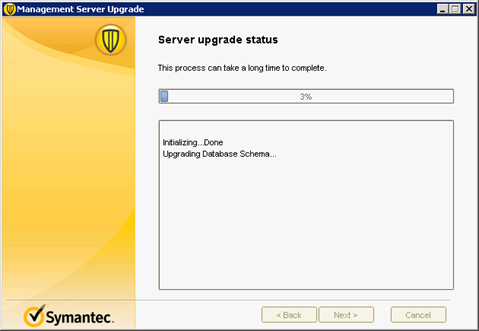 You can also allow the user to postpone the upgrade by an amount you specify. 11. 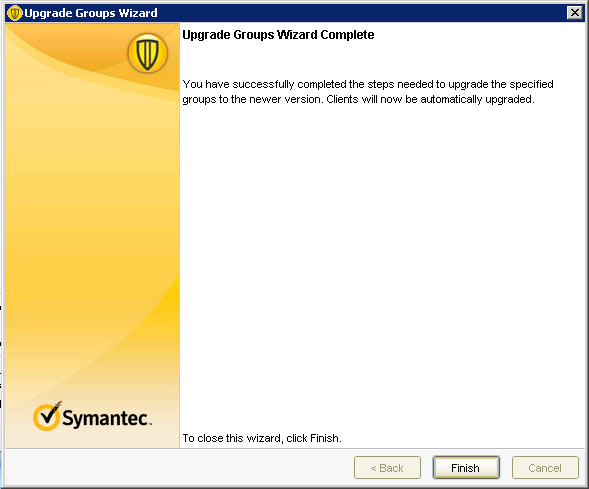 In the Upgrade Clients Wizard Complete panel, click [Next]. a. 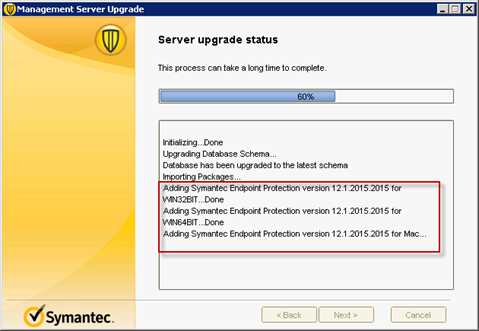 Upgrade the Symantec Endpoint Protection Manager server to the new version of the software. b. 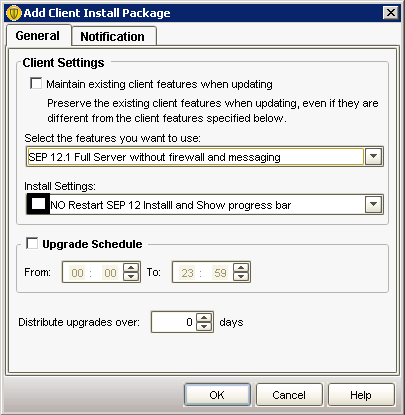 Upgrade the clients that are Group Update Providers to the new version of the client software. c. Update the rest of the clients to the new version of the client software.